Hi there, fellow party planners! 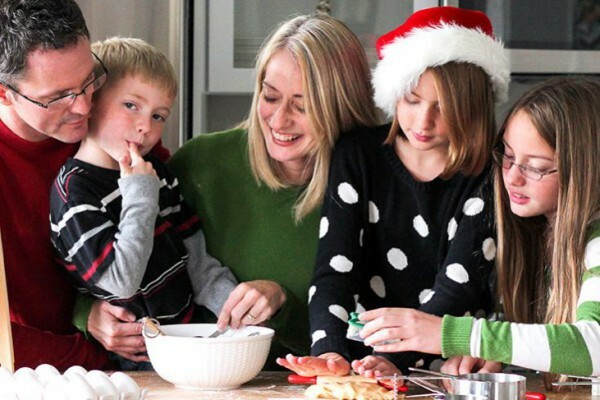 I’m Courtney Byrne from The Chirping Moms and I am one of the featured stylists for the Birthday Express Ideas Blog. 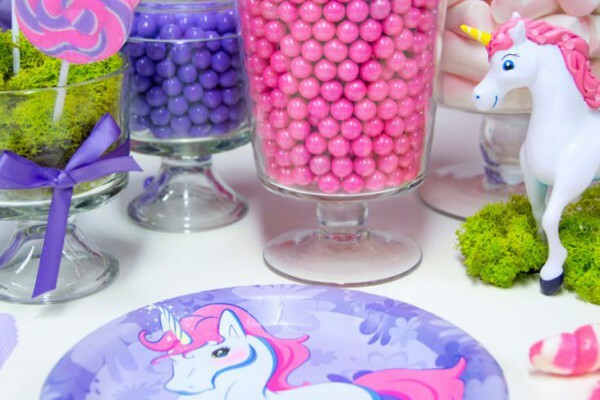 I’ll be here about twice a month, sharing some of my favorite party themes from Birthday Express along with fun party activities, food and planning tips! I have two little girls that just love to have tea parties. They also recently discovered Alice in Wonderland, right before a trip to Disney World. Then, once they met Alice there, they were hooked! We get the movie from our local library over and over again, and dressing up as the characters has become part of our daily routine. 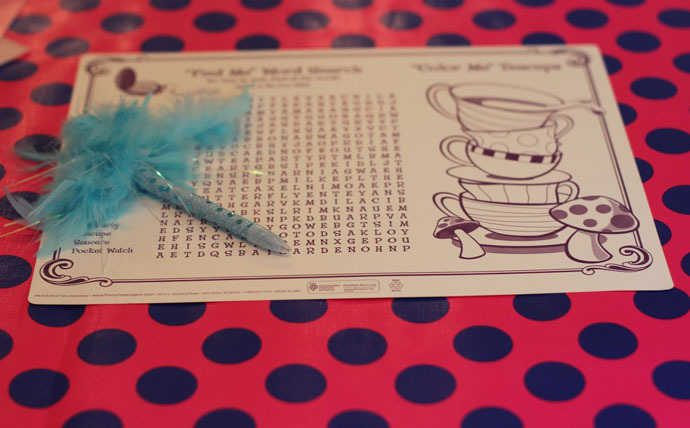 So, what better way for us to celebrate a birthday than with an extra special Alice in Wonderland themed tea party? To decorate for the party, we made the main attraction the tea party table. 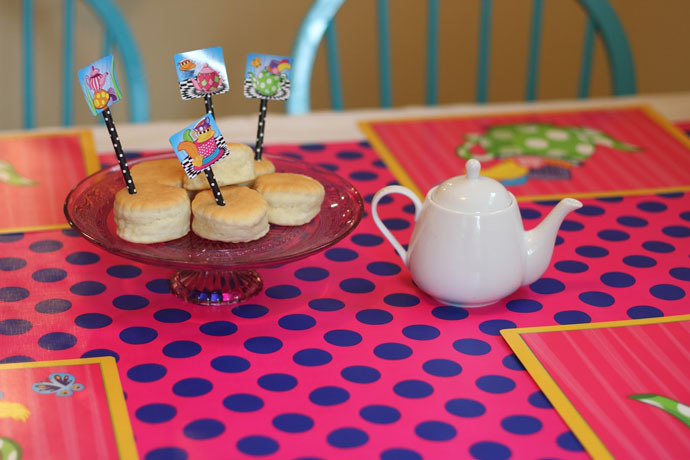 We used this “Topsy Turvy Tea Party ” which is one of the Alice in Wonderland party supplies themes from Birthday Express. The collection was just what we were looking for – a fun, bright, and happy tea party! I love all of the bold colors and they went along really well with an Alice in Wonderland theme. For the table, I used a roll of pink and royal blue polka dot wrapping paper over the table cloth to really make it look fun and bright. It coordinated well with the Topsy Turvy Tea Party Placemats. 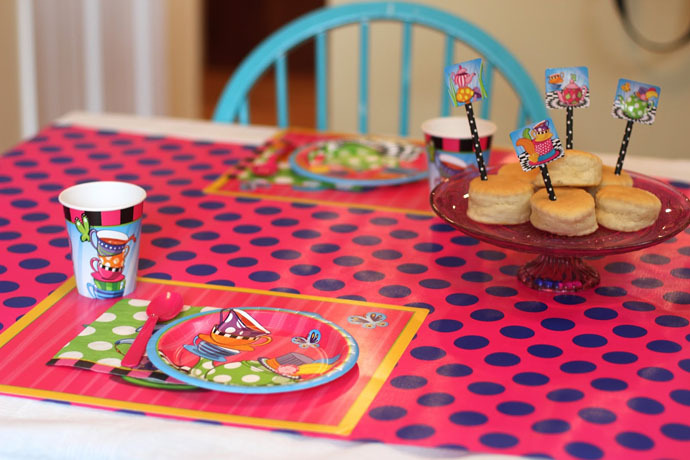 I really like that Birthday Express offers placemats that go with the party themes, too. They make the table look great and the activities on the back help entertain the kids in between planned activities. We gave everyone a fancy feathery pen to do their activities, which made everything on the table look even more fabulous! 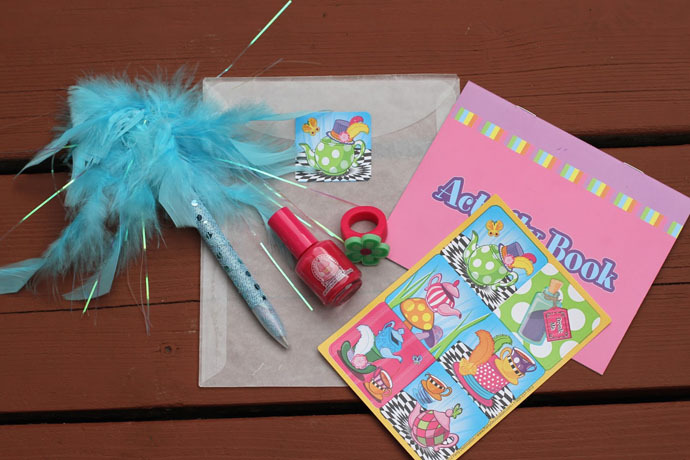 We filled our favor bags with some adorable Topsy Turvy Tea Party items from Birthday Express: Rubber Flower Rings, Sequin Feather Pens, Topsy Turvy Tea Party Stickers, pastel activity books and cupcake scented nail polish. 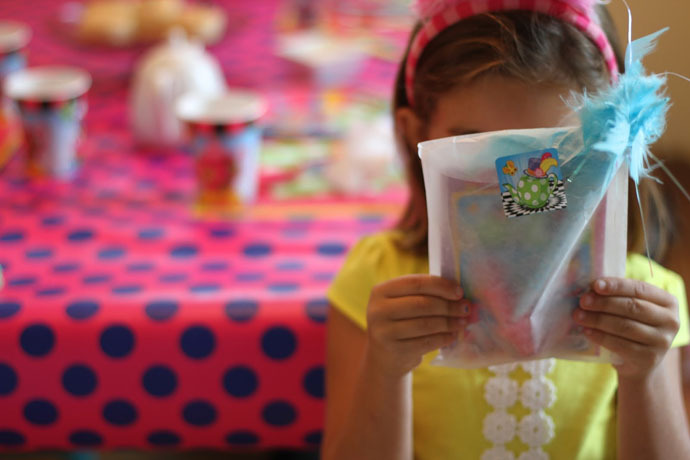 I used plain favor bags and sealed them with some of the Topsy Turvy Stickers. They were simple, went well with the theme and the children enjoyed them. Of course our main activity was the tea party itself! For more details on what we served, check out the Alice in Wonderland party food ideas listed below. Everyone had fun making their own fancy Mad Hatter party hats! Before the party, cut strips of paper that are as wide as the height of the paper cups, and long enough to wrap around the cup once. Also, cut circles about the size of a small paper plate (or use a paper plate as a template). Let each child start creating their Mad Hatter hats by drawing designs on the paper strips and covering them with glitter and stickers. Next, have them glue the paper around the cup. Decorate the paper circles next – these will become the brims of the hats. Use glue to attach each circle to a headband at a slight angle off of center. You may want to use hot glue or a few pieces of tape for this part, if you’re having trouble getting to stick with just regular glue. Then, help the kids poke a small hole in the top of the paper cup with a large needle or darning needle. 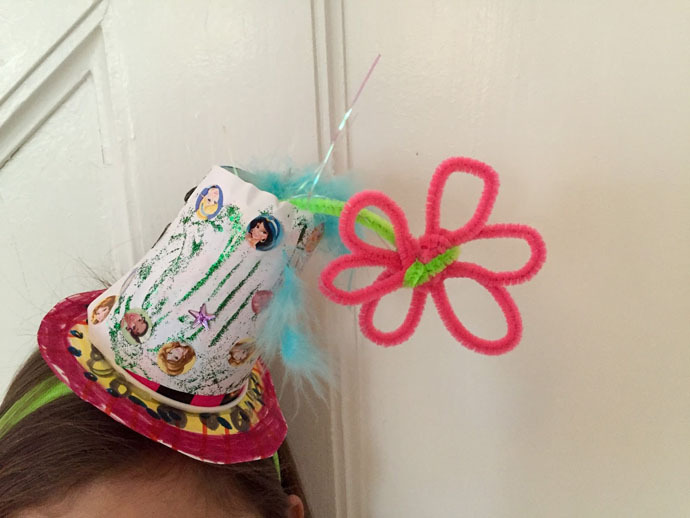 Stick colorful feathers and pipe cleaners in the hole to make the hat look even fancier and more silly! Glue the cup upside-down to the paper circle on the headband. After the glue is dried, wear the hats to celebrate! We painted the girls’ nails while the hats were drying. 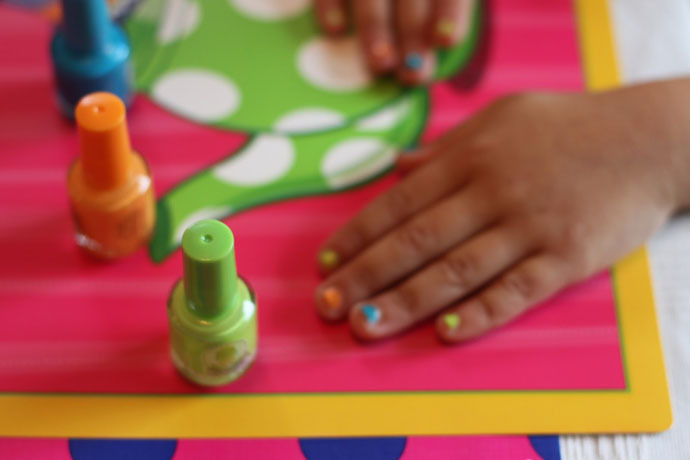 We used the Cupcake Scented Nail Polish set from Birthday Express. It smelled festive and the colors matched the party colors really well. What would a party be without a pinata? We used the giant Green Teapot Pull-String Piñata from Birthday Express. To tie in the Alice in Wonderland theme, we played dress up and did some fun photos with accessories, costumes and props from Costume Express. 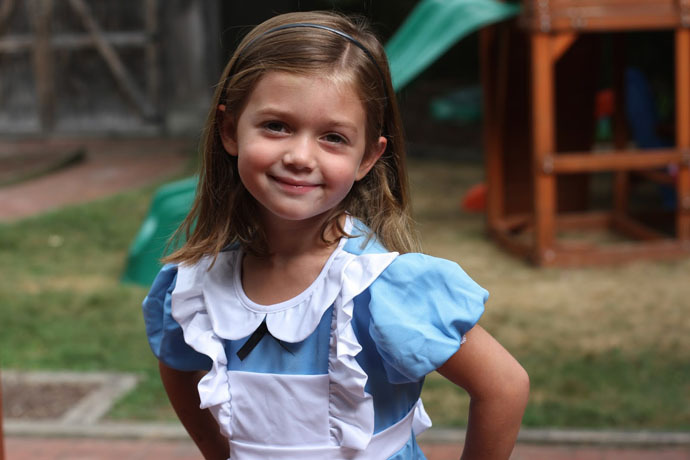 This Alice in Wonderland costume was just too adorable! 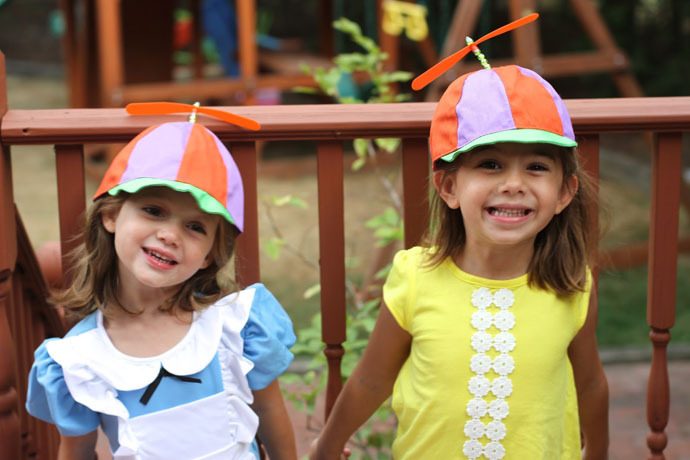 … and I think the Tweedle Dee and Tweedle Dum hats were my favorite! For the food, we served traditional tea party treats. We let the girls try a variety of herbal teas (decaf of course) and had things they could mix in like milk and honey. Then we also had tea pots of just water. Everyone enjoyed being able to “pour their own tea” like a grown up. To eat we had scones with butter and jelly. Again, they really enjoyed being able to make their own scones and add what they liked to them. We also had tea cookies and small tea sandwiches. We had a wonderful time celebrating at our tea party. 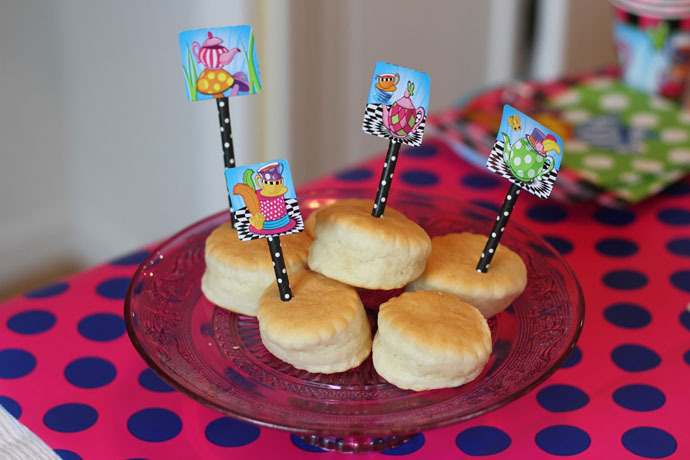 The Birthday Express Topsy Turvy Tea Party supplies made it look so fun and festive. 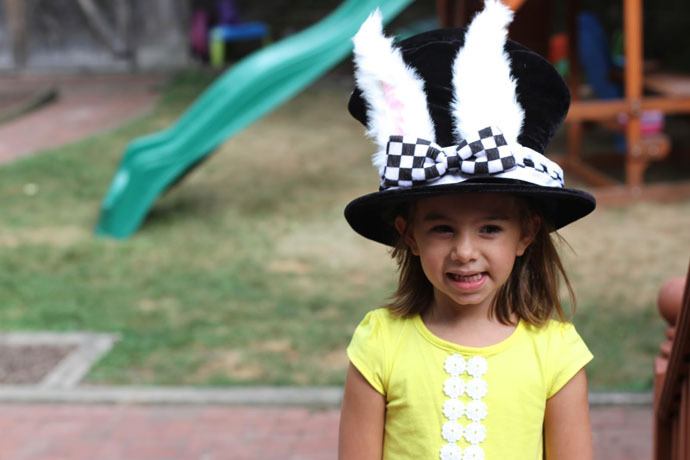 The adorable Alice in Wonderland costumes were perfect for the birthday party theme and got everyone in the celebrating spirit. Everyone had fun and no one was “late for this very important date”! 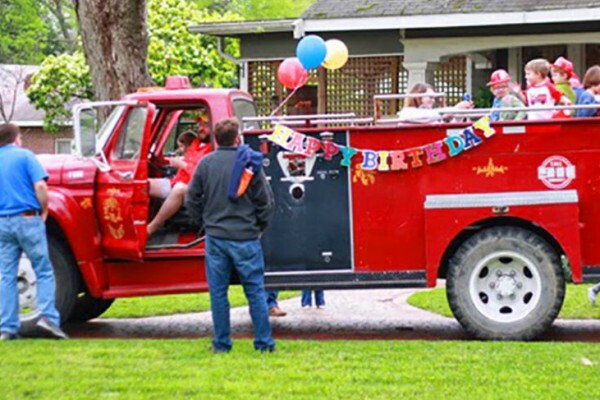 If you liked this post, then check out some of the other fabulous birthday party theme ideas created by Courtney! 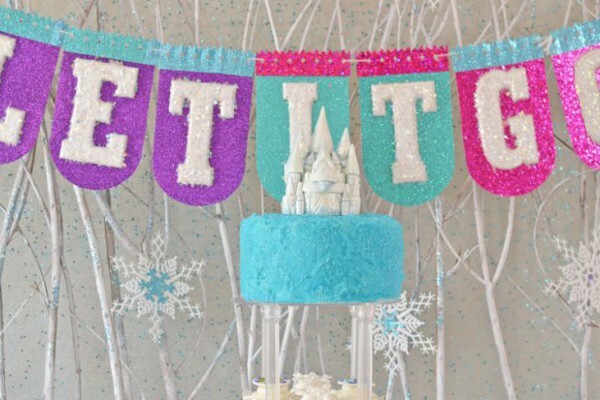 This owl themed birthday party is definitely a “hoot,” and her Candy Land party is super sweet. Or, tell us what kind of party ideas and themes you want to see us show off next on Facebook, Twitter, and Pinterest. Shop the complete collection of Alice in Wonderland birthday party supplies on Birthday Express!